Visit Croatia by boat and be amazed by its coastal charm and medieval towns. 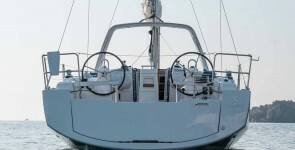 You can boat charter in Croatia also gulets, sailboats, catamarans or yacht charter in Croatia. This is very typical because the clear waters of the Adriatic sea and the beauty of its coasts and islands offer an unforgettable experience for the people who loves the sea. Top Sailing Charter offers yacht charter Croatia with or without skipper. In addition, boat rentals can also be crewed. Enjoy holidays with the family, couples or friends at sea. Hire the boat that suits you best and enjoy your holidays in Croatia! Visit Croatia by boat in a week and discover all its secrets! There are many routes to sail charter in Croatia, we want to give you an idea of ​​what can you find. Croatian hills offer more than five hundred kilometers of coastline with small ports, walled medieval towns and historic villages. In Croatia you will enjoy both tradition and nature. A list of the most famous towns to visit in Croatia: In Zadar you can find museums, art galleries and craft workshops. You can also visit Sibenik, the oldest city in Croatia or Trogir, which is a typical example of a Dalmatian town. In Split you will find remains of the Roman Empire and the most impressive monumental set around the Mediterranean; you also have Dubrovnik, which has one of the most beautiful walls in the world. If you want to enjoy nature, the National Park Krka is something you should not miss, there you will be able to make routes along the river and wonderfull excursions to waterfalls. You can yacht charter Croatia and enjoy its beautiful and quiet bays, spectacular cliffs and hidden caves ideal for scuba diving or snorkeling. You can also do hiking and adventure sport sor simply sit on a terrace to enjoy the sunset. The nightlife is also an incentive and the cuisine has a huge Mediterranean influence, but the Konoba, local taverns where you can eat very well also have a huge influence. Yacht charter Croatia. If you want to enjoy blue and green waters, imperial palaces, Roman remains or fishing villages and picturesque towns, get your yacht charter Croatia to spend your dreamt vacations.